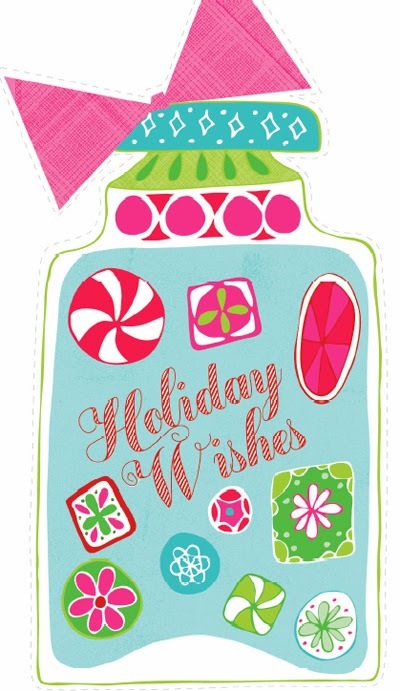 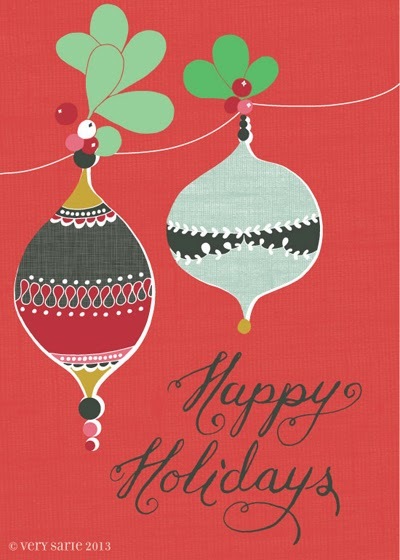 Have a lovely Holiday and a Happy New Year. 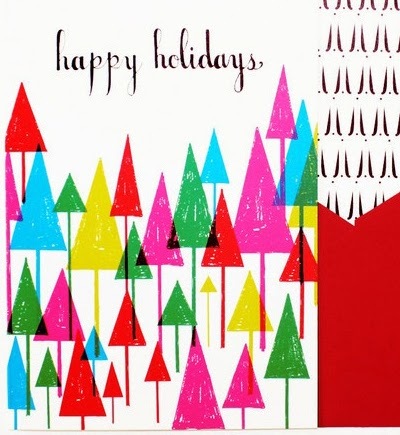 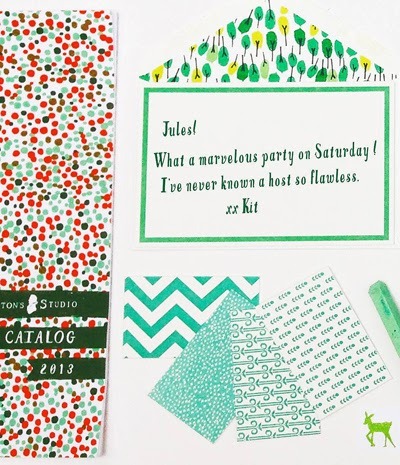 Thank you all so much for reading Print & Pattern throughout 2013! 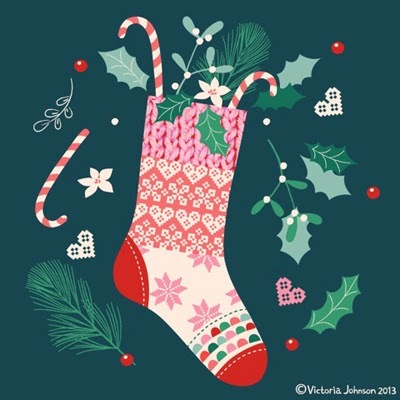 I am off now for a slightly extended Christmas break - not to lounge around : ) I promise, but in order to complete the manuscript for the Print & Pattern Geometrics book and to work on some other design projects with pressing deadlines. 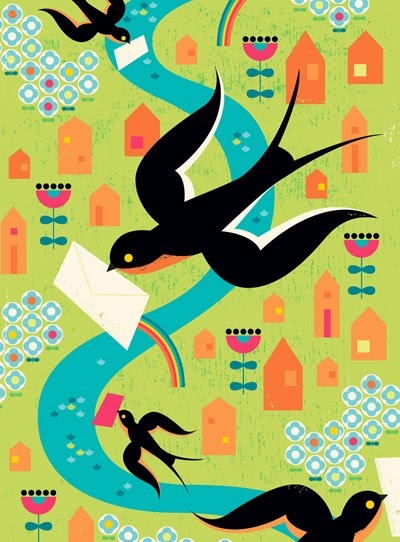 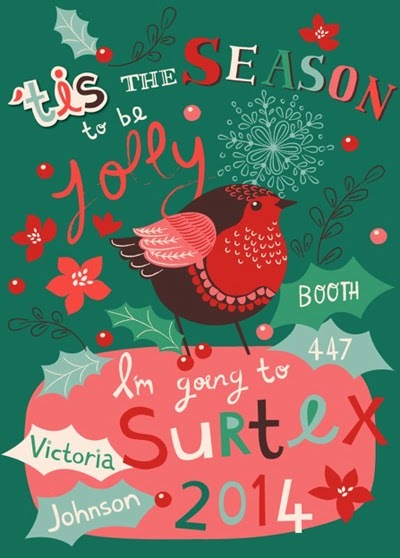 I have scheduled a few Surtex and Heimtext flyers that have already come in for early January, but proper postings will start again on January 20th. 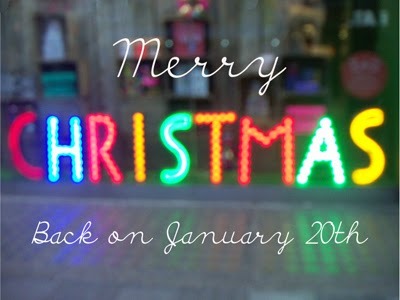 If your New Year resolution is for me to feature your designs on P+P then please do email me around or after January 20th at bowiestyle@hotmail.co.uk. 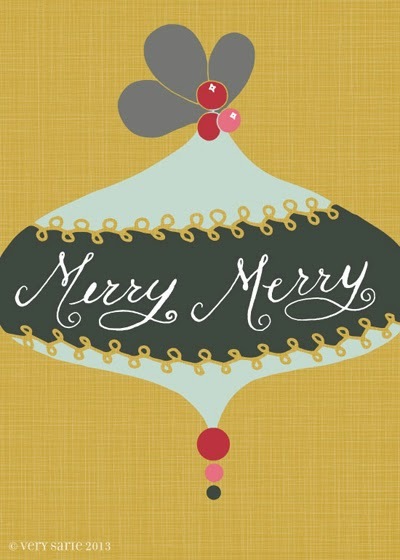 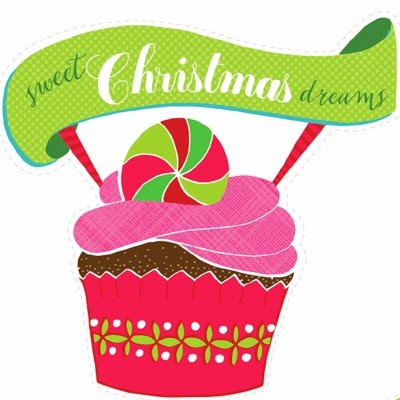 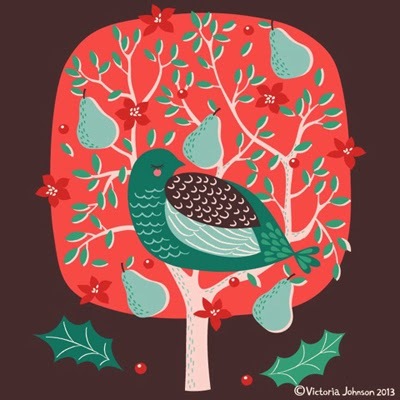 In the meantime have a lovely Christmas - see you next year ! 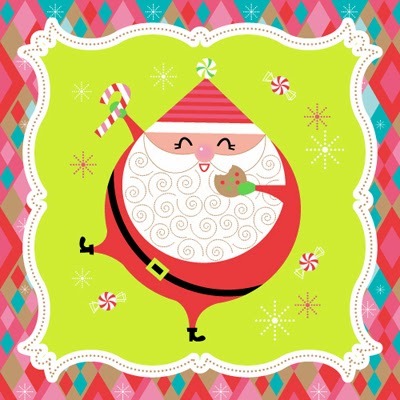 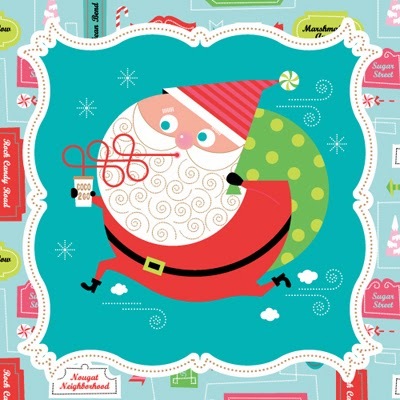 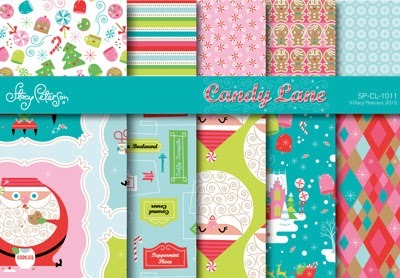 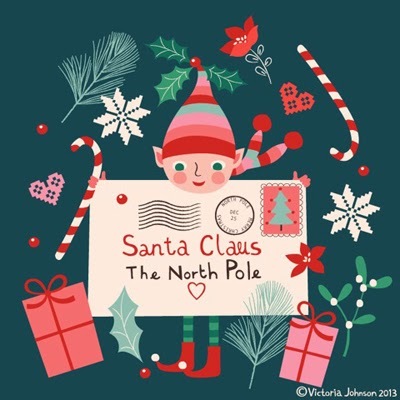 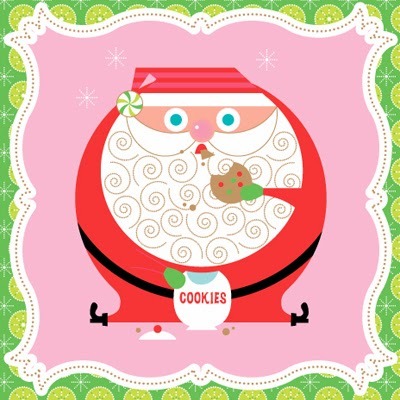 These are the beautiful illustrations are the work of designer Stacy Peterson who sent me some last minute Father Christmas designs from her new 'Candy Lane' collection. 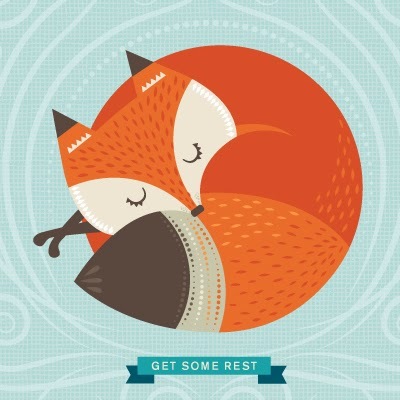 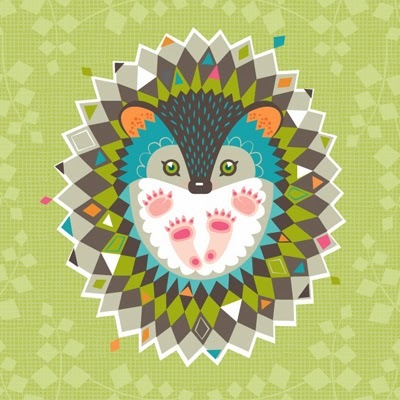 The designs will be showing at Surtex next year in Booth #250 where Stacey's portfolio will be available for sale and licensing - including these lovely new woodland creatures. 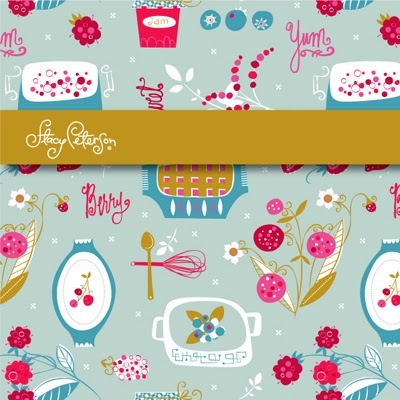 See more from Stacy online here. 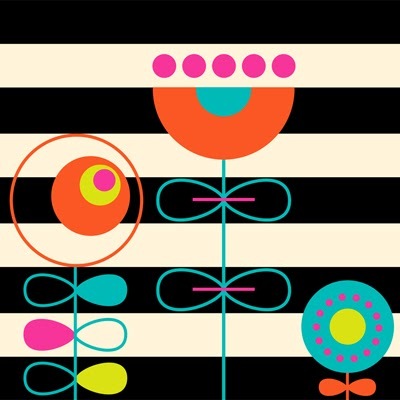 Sarah Ehlinger is a designer based in Los Angeles, CA. 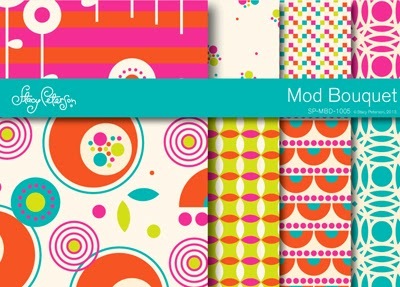 Sarah has been making her living as a graphic designer for over ten years, and is now expanding into the world of print and pattern (which is her first love). 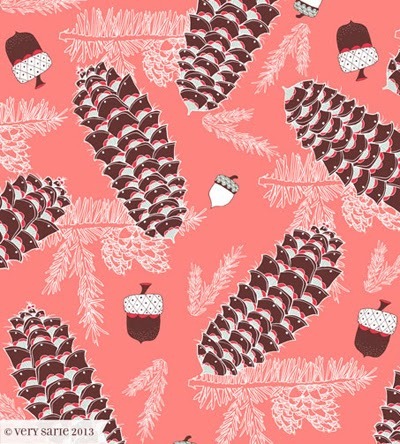 Sarah has designed two winter collections 'Winter Pine' and 'Merry Ornaments' and has also created a free desktop and phone wallpaper and a set of free holiday candy printable gift tags .Sarah is also available for freelance, commissions, and Licensing work. 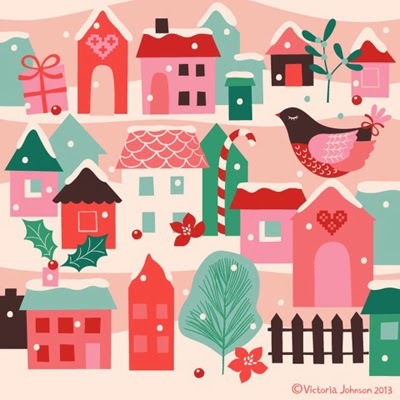 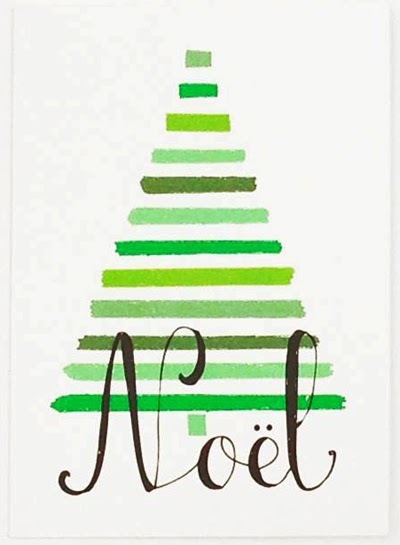 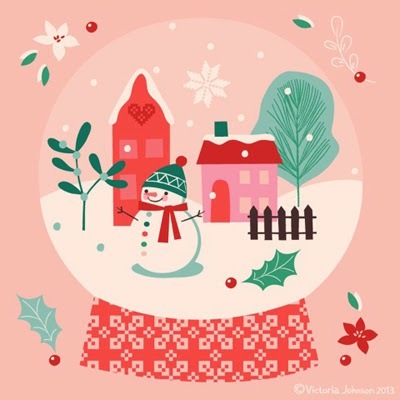 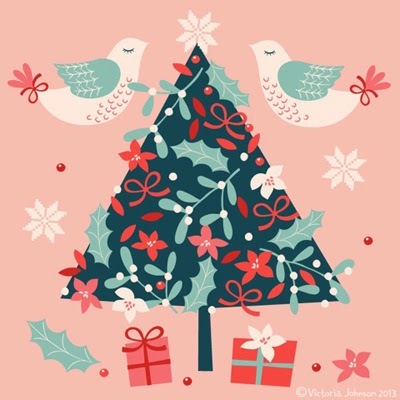 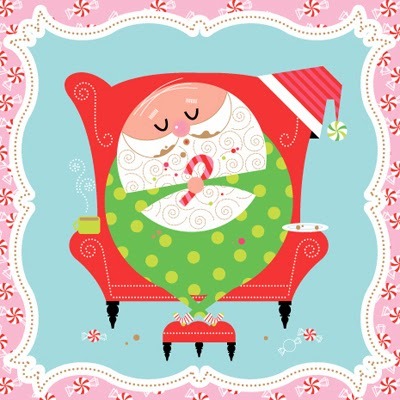 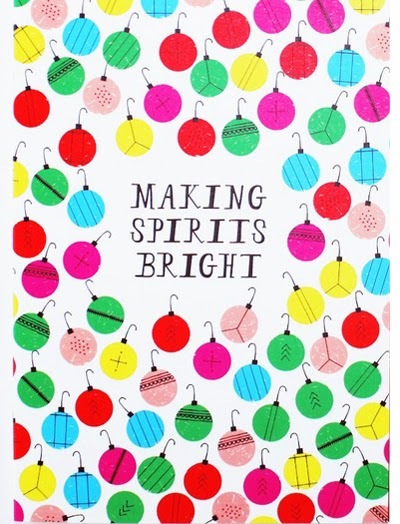 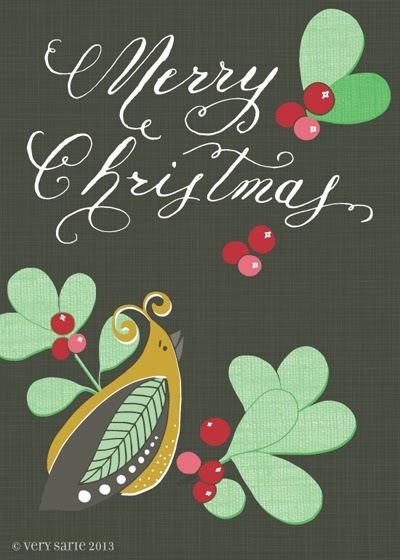 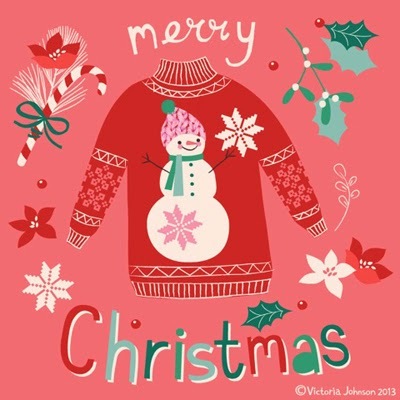 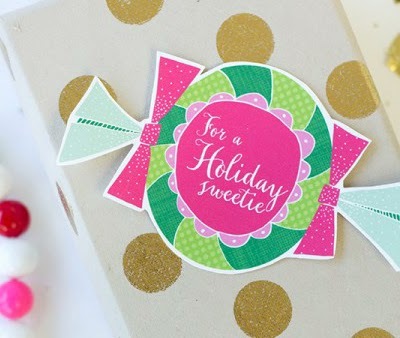 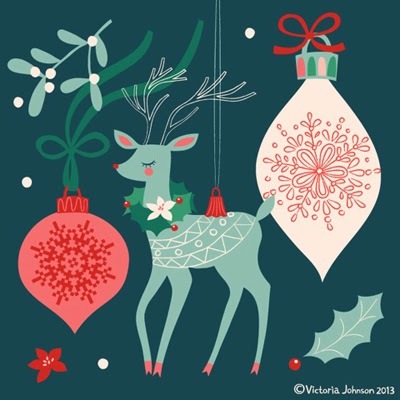 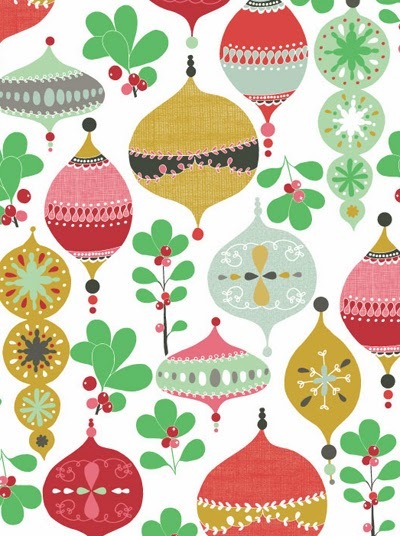 We featured a new Christmas collection from Victoria Johnson a couple of weeks ago and since then Victoria has been super busy creating a new range of designs ready to take to Surtex in 2014. 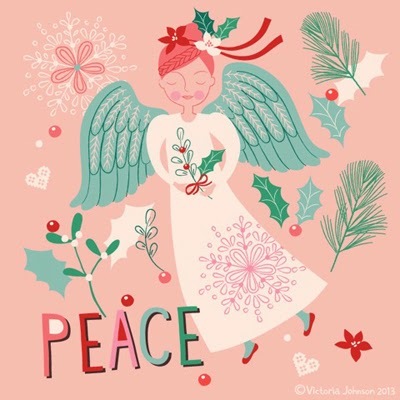 The talented and prolific Victoria is available for commissions and her collection of artwork is for purchase or licensing. 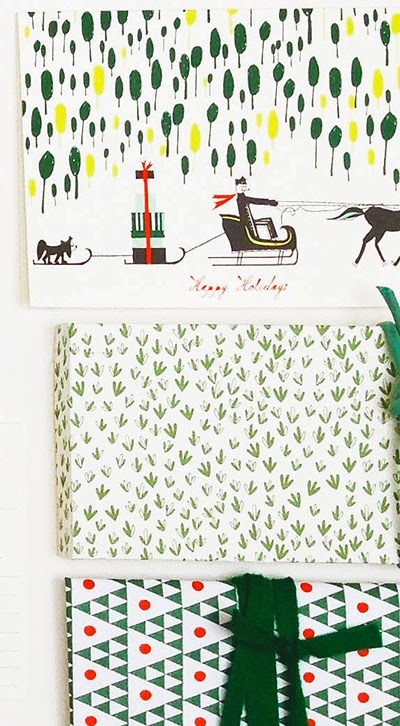 Yesterday's book design special looked at the covers created by Mr.Boddington's studio for Anthropologie, and today I am posting some of their Christmas Holiday designs. 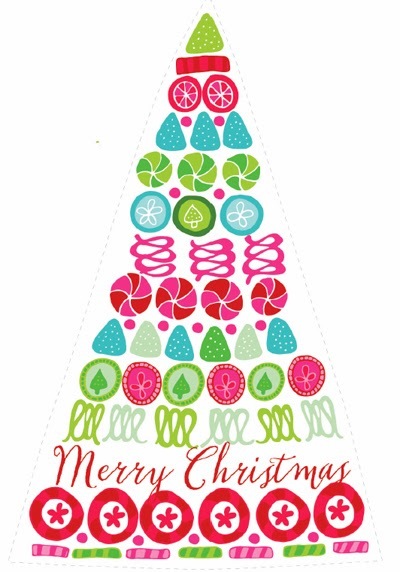 I love the chic simplicity of the green striped tree above and the cheerful colours on the triangle trees below. 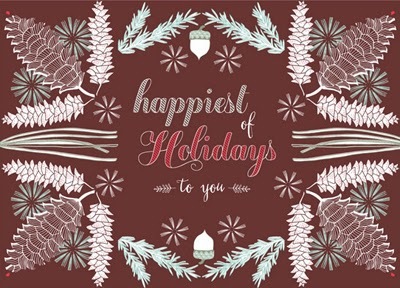 See more from Mr.Boddington here. 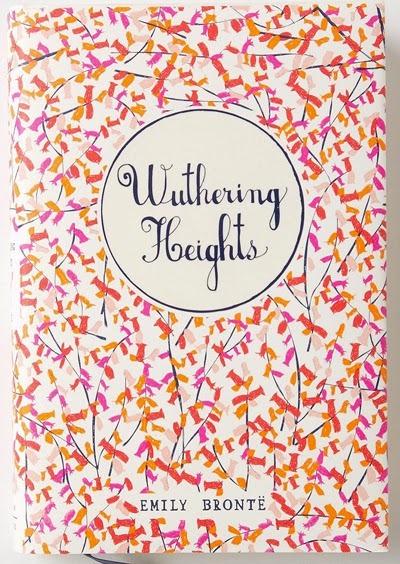 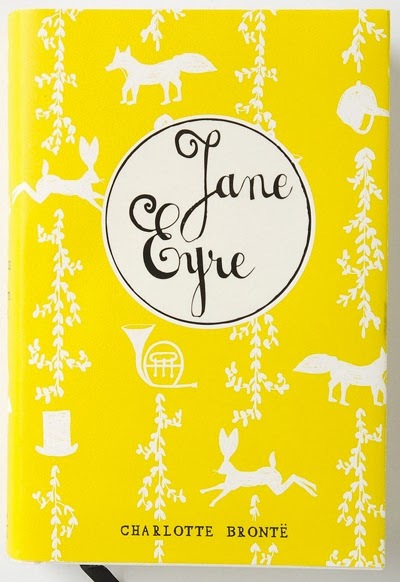 Todays posts all feature book cover designs. 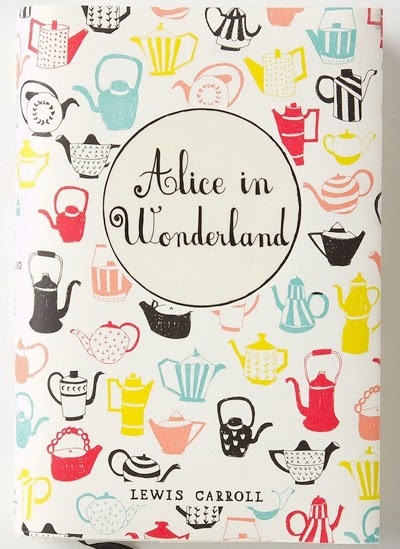 This is another area of great interest to illustrators, card designers, and anyone with an interest in graphics and pattern. 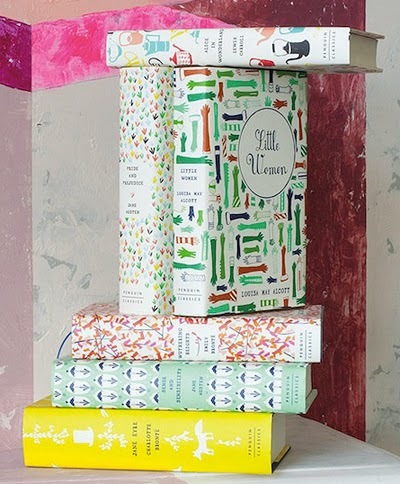 These are some fine examples from Mr.Boddingston's Studio who have given a fresh look to a selection of Penguin Classics exclusively for Anthropologie. 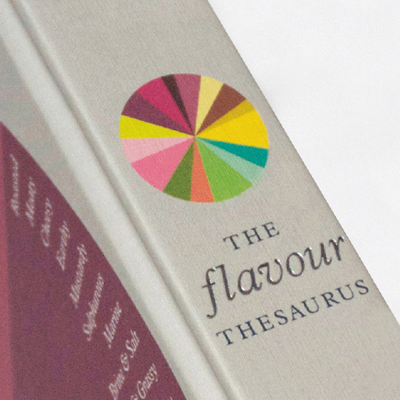 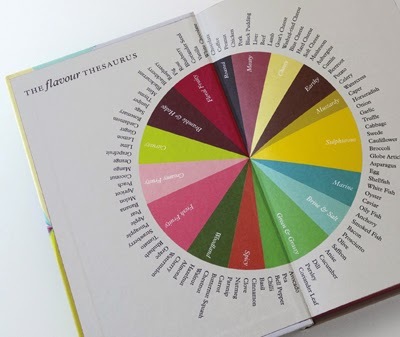 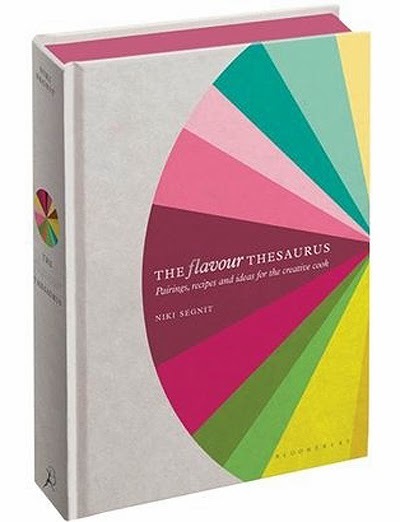 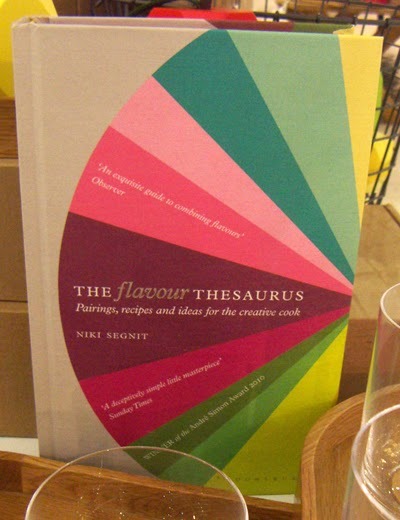 The Flavour Thesaurus released in 2010 is possibly my favourite book cover of all time. 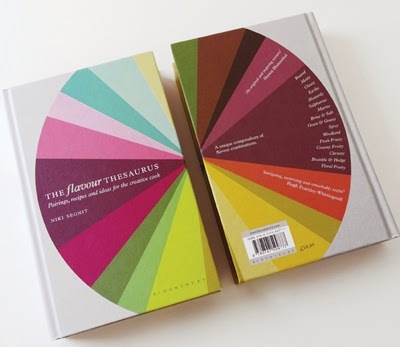 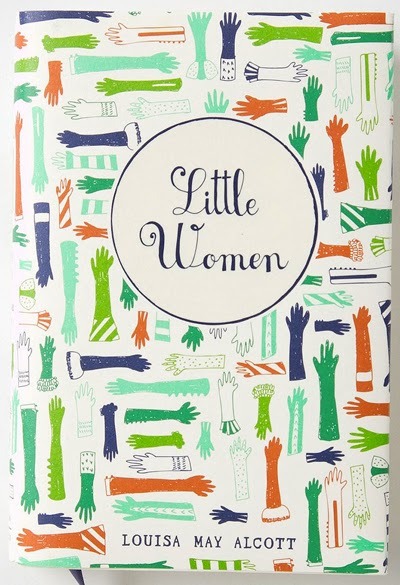 It is an award winning design by the Grade Design Studio for publisher Bloomsbury and features a simple graphic in a gorgeous colour palette on warm grey. 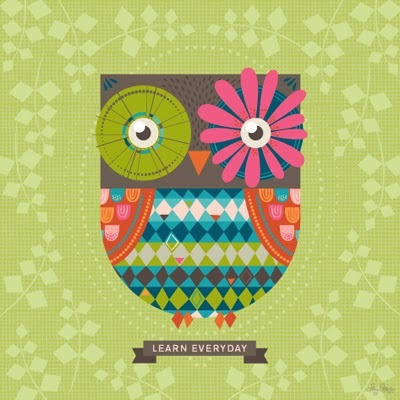 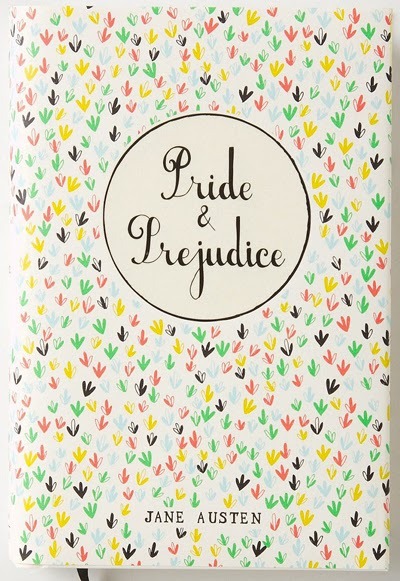 See this design and more books designed by Grade online here.